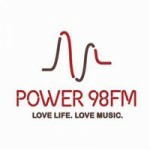 Power 98 is one of the most popular radio stations in Singapore because of all the great music you will hear and their great radio programs. Please leave your comment. Let us know if the radio station isn't working.